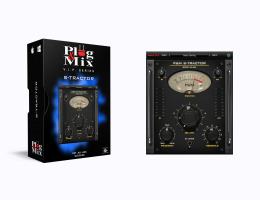 S-Tractor is your new de-esser; with just three parameters for quick and easy control of your vocal T’s, P’s, S's. Adjust the frequency, threshold and amount values to tame those harsh and nasal tones. Simple! Amount - Controls the amount of gain reduction applied to detected sibilances. Frequency - Sets the frequency for the side-chain detector circuit. SC Listen - Switch to listen to the side-chain detector filter. Threshold - Sets the threshold for sibilance detection.